Monday seems to be the most boring day, starting a new week can be really tough. 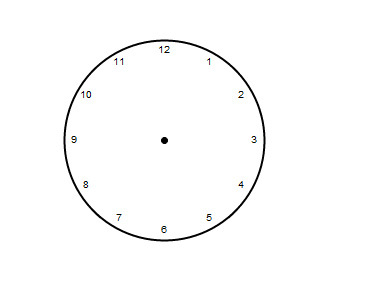 So we will start with something fun and exciting, today we are going to create a clock animation that works in all browser, no CSS3. So Let’s get started. First we are going to create a canvas using Raphael, wrap it in the window onload function. Canvas is created by calling Raphael() , which creates a Raphael object which we will use it for future reference when we will call other methods. Here using Raphael’s function we have converted the div with id pane into an canvas with coordinates 0,0 and with dimensions 500 by 500. 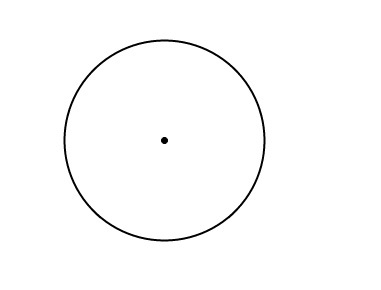 Creating a skeleton, now we are going to create a basic structure of our clock, for that we will two concentric circles with outer circle’s radius will be our clock’s size and inner clock’s circle will be a reference point. rad – converting Degrees into radians. cx,cy are center x and y of the imaginary circle on which circumference’s text will be situated. startangle is the position of the first text, angle is the gap between two text nodes. Here we have 12 hours divide by 360 that is 30.
endangle will serve as reference for next text position. Then we will loop from 1 to 12 calculate x,y position and finally insert the number at it’s position. 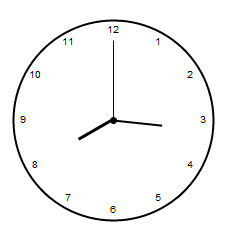 So for we have added the numbers, now time to add the second, minute and hour hand. This can be done by creating paths from starting point from the center of the circle, to the length depending on each hand. Our clock has now all it’s parts. Time to set it to the the current time. For this, we will retrieve the current date using date object and retrieve current seconds, minutes and hours. takes 30 degrees so will multiply current hour by 30. 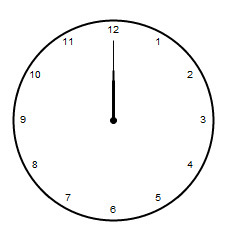 There is different in degrees because there are 5 minutes between two numbers and only 1 hour for the consecutive one. For second hand we will move it by 6 degrees. If angle count goes ove 360 we will reset it. For minute hand whenever second is over( angle > 360 ) we will rotate minute hand by 6 degrees. Finally we will slowly move the hour hand by a very small degree. Finally our code looks like. Hope you enjoyed the tutorial, works on all browsers. Be sure to check out the demo, you can use it instead of a flash with a little more styling. Sign up for Testking 70-433 online web designing course and download Testking 70-294 CSS tutorials and Testking 642-373 videos to learn how to create inspiring designs for your web project. This entry was posted on Monday, May 24th, 2010 at 14:54 and is filed under Tutorials. You can follow any responses to this entry through the RSS 2.0 feed. You can leave a response, or trackback from your own site. when I get some time I’m going to give this a shot! It’s nice and good usage of Raphael lib, but it would be even better if the hour pointer can rotate bit by bit according to how many the minute has elapsed. It�s nice and good usage of Raphael lib, when I get some time I�m going to give this a shot! I need to rotate a text runtime on button click event.please provide me any help regard this.i m waiting for ur reply.